There is a well worn phrase that "content is king" and this remains as true as it ever was except that realizing content's value is now a whole lot more complicated. Content can be entertainment - a movie like Avatar, a sports highlight from the World Cup, an episode of the Simpsons. It can be a commercial, a business briefing, a financial report, a satellite map, a medical image or amateur video. A value may be attached to that content by the owner, publisher and ultimately the audience/consumer and may be enhanced by additional content or the context in which it is presented. In essence content is information and in a world of information technology, content needs to be manipulated as information. 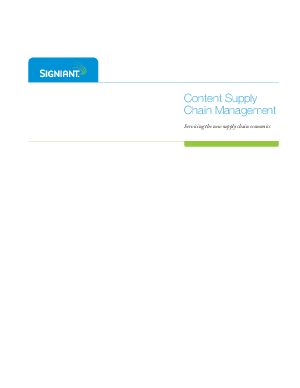 There is more content than ever and many new ways to consume that content - thus the complexity of managing the flow of that content throughout the supply chain - from creation to the consumer.